Print on paper of a deconstructed AEG blow dryer. The AEG 613 207 000 Blow Dryer was just one of a whole range of products for alter ego generation. Curious about its possibly true story? Read it here! 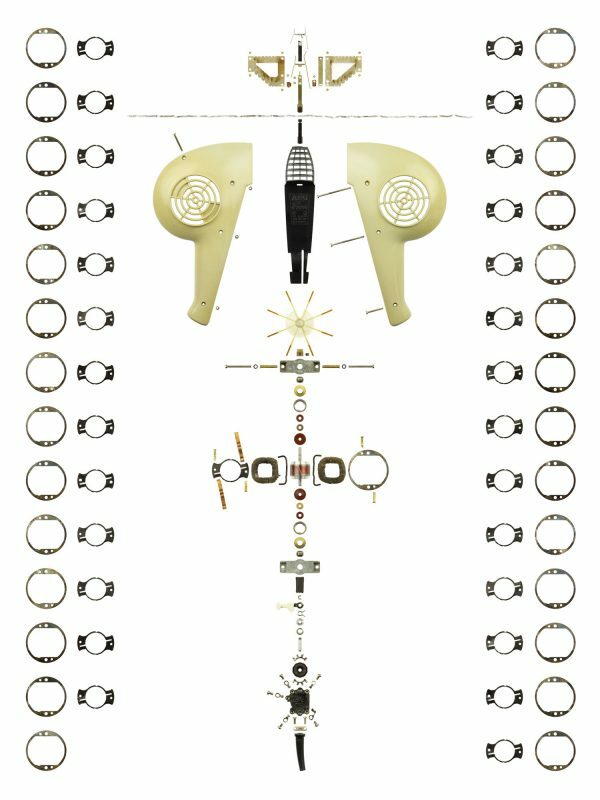 A high quality print on paper of a deconstructed AEG 613 207 000 blow dryer from the Sixties, with stunning detail. All the parts have been photographed separately, before they were all arranged and combined into a single, highly detailed picture.